The Brahma sūtras (Sanskrit: ब्रह्म सूत्र) is a Sanskrit text, attributed to Badarayana, estimated to have been completed in its surviving form some time between 450 BCE and 200 CE. The text systematizes and summarizes the philosophical and spiritual ideas in the Upanishads. It is one of the foundational texts of the Vedānta school of Hindu philosophy. The Brahma sutras consists of 555 aphoristic verses (sutras) in four chapters. These verses are primarily about the nature of human existence and universe, and ideas about the metaphysical concept of Ultimate Reality called Brahman. The first chapter discusses the metaphysics of Absolute Reality, the second chapter reviews and addresses the objections raised by the ideas of competing orthodox schools of Hindu philosophies as well as heterodox schools such as Buddhism and Jainism, the third chapter discusses epistemology and path to gaining spiritually liberating knowledge, and the last chapter states why such a knowledge is an important human need. The Brahmasutra is one of three most important texts in Vedanta along with the Principal Upanishads and the Bhagavad Gita. It has been influential to various schools of Indian philosophies, but interpreted differently by the monist Advaita Vedanta sub-school, the theistic Vishishtadvaita and Dvaita Vedanta sub-schools, as well as others. Several commentaries on the Brahma-sutras are lost to history or yet to be found; of the surviving ones, the most well studied commentaries on the Brahmasutra include the bhashya by Adi Shankara, Ramanuja, Madhvacharya, Bhaskara and many others. It is also known as the Vedanta Sutra (Sanskrit: वेदान्त सूत्र), deriving this name from Vedanta which literally means the "final aim of the Vedas". Other names for Brahma Sutra is Sariraka Sutra,[note 1] wherein Sariraka means "that which lives in the body (Sarira), or the Self, Soul", and Bhikshu-sutra, which literally means "Sutras for monks or mendicants". The Brahma Sutras or Brahmasutra are attributed to Badarayana. In some texts, Badarayana is also called Vyasa, which literally means "one who arranges". Bādarāyana was the Guru (teacher) of Jaimini, the latter credited with authoring Mimamsa Sutras of the Mimamsa school of Hindu philosophy. This is likely, given that both Badarayana and Jaimini quote each other as they analyze each other's theories, Badarayana emphasizing knowledge while Jaimini emphasizes rituals, sometimes agreeing with each other, sometimes disagreeing, often anti-thesis of the other. The Brahma-sutra text is dated to centuries that followed Buddha and Mahavira, because it mentions and critiques the ideas of Buddhism and Jainism in Chapter 2. The text's relative chronology is also based on the fact that Badarayana quotes all major known orthodox Hindu schools of philosophy except Nyaya. The exact century of its composition or completion in final form is unknown, but scholars such as Lochtefeld suggest that the text was complete sometime between 500 to 200 BCE, while Sarvepalli Radhakrishnan and Dasgupta independently suggest the 2nd century BCE as more likely. Paul Deussen places it between 200 BCE and 400 CE. Hermann Jacobi in early 20th century suggested that Madhyamaka Buddhist concepts such as Sunyavada, acknowledged in the Brahma-sutras, may be a late invention, and suggests that both Sunyavada and Brahma-sutras may therefore have emerged between 200-450 CE. Daniel Ingalls disagreed with Jacobi chronology in his 1954 paper, critiquing Jacobi's assumptions and interpretation of sutras 2.2.28-32 in dating the entire document, and stating that "the Brahma-sutra could not have been composed later than the start of the common era". According to a 2013 review by Andrew Nicholson, the Brahma Sutras were composed over many centuries by multiple authors, and likely complete in the current form between 450 to 400 BCE. The existence of earlier versions of the Brahmasutras, and multiple authors predating Badarayana, is supported by textual evidence. Some scholars, such as Sengaku Mayeda, state Brahmasutra that has survived into the modern times may be the work of multiple authors but those who lived after Badarayana, and that these authors composed the currently surviving Brahmasutra starting about 300 BCE through about 400-450 CE. [note 2] Nakamura states that the original version of Brahma sutra is likely very ancient and its inception coincides with the Kalpa Sutras period (1st-millennium BCE). Natalia Isaeva states, "on the whole, scholars are rather unanimous, considering the most probable date for Brahmasutra sometime between the 2nd-century BCE and the 2nd-century CE. The Brahma Sūtras consist of 555 aphorisms or sūtras, in four chapters (adhyāya), with each chapter divided into four parts (pāda). Each part is further subdivided into sections called Adhikaraņas with sutras. Some scholars, such as Francis Clooney, call the Adhikaraņas as "case studies" with a defined hermeneutic process. The Brahmasutra text has 189 Adhikaranas. [note 4] Each section (case study) in the text opens with the Mukhya (chief, main) sutra that states the purpose of that section, and the various sections of the Brahma-sutras include Vishaya-Vakyas (cite the text sources and evidence they use). The Sutras of the text, states Adi Shankara in his commentary, are structured like a string that ties together the Vedanta texts like a garland of flowers. The Brahmasutra, states Sengaku Mayeda, distills and consolidates the extensive teachings found in a variety of Upanishads of Hinduism, summarizing, arranging, unifying and systematizing the Upanishadic theories. Prior to the creation of the Brahmasutras, the Vedic literature had grown into an enormous collection of ideas and practices, ranging from practical rituals (karma-kanda) to abstract philosophy (jnana-kanda). Different and conflicting theories on metaphysical problems, diverse mutually contradicting unsystematized teachings on rituals and philosophies multiplied in the four Vedas, creating the need for consolidated and systematized content summary of the Sruti. This was achieved by Jaimini's Mimamsa-sutra which focussed on externalized rituals as the spiritual path, while Badarayana's Brahma-sutra focussed on internalized philosophy as the spiritual path. The text reviews and critiques most major orthodox schools of Hindu philosophy as well as all heterodox Indian philosophies such as Buddhism, with the exception of Samkhya and Yoga philosophies which it holds in high regards and recurrently refers to them in all its four chapters, adding in sutras 2.1.3 and 4.2.21 that Yoga and Samkhya are similar. The text cites and quotes from the ten Principal Upanishads often, the Kaushitaki Upanishad and the Shvetashvatara Upanishad in several sutras, but also mentions Upanishads now unknown and lost. The contents of the text also acknowledge and analyze the various Vedic schools, and mentions the existence of multiple, diverging versions of the same underlying text. The sutras of the Brahmasutra are aphorisms, which Paul Deussen states to be "threads stretched out in weaving to form the basis of the web", and intelligible "when the woof is added" with a commentary. Chapter 1: What is Brahman? The first chapter is regarded in Vedanta tradition as Samanvaya (Harmony), because it distills, synchronizes and brings into a harmonious whole the seemingly diverse and conflicting passages in various Sruti texts. It consists of 134 sutras, with eleven Adhikaranas in the first Pada, seven Adhikaranas in second, fourteen Adhikaranas in third, and eight in the fourth Pada. The different sub-schools of Vedanta have interpreted the sutras in the last Pada differently, and some count only seven Adhikaranas in the fourth Pada. If it be said that a contradiction will result in regard to Word (Vedas), we say that it is not so because the origination of everything is from perception and inference. Adi Shankara commentary: "Perception means Sruti; for its validity it is not dependent on anything else; inference is Smriti". This Brahmasutra chapter asserts that all the Upanishads primarily aim and coherently describe the knowledge and meditation of Brahman, the ultimate reality. Brahman is the source from which the world came into existence, in whom it inheres and to which it returns. The only source for the knowledge of this Brahman is the Sruti or the Upanishads. The sutras 1.1.5-11 quotes the Samkhya school's view that the Principle of the world is unconscious, and instead asserts that the Principle of the world is conscious and the Brahman itself. The remaining sutras in Pada 1.1, all sutras of 1.2 and 1.3 assert that Brahman is the primary focus of the Upanishads, is various aspects of empirical reality, quoting various verses in support, from Taittiriya Upanishad, Chandogya Upanishad, Kaushitaki Upanishad, Mundaka Upanishad, Katha Upanishad, Brihadaranyaka Upanishad and Prashna Upanishad. The first chapter in sutras 1.4.1-15 presents the Samkhya theories on Prakriti, and presents its arguments that these are inconsistent and misinterpretation of the Katha, Brihadaranyaka, Shvetashvatara and Taittiriya Upanishad. Sutras 1.4.23 through 1.4.27 state that Brahman is the efficient cause and the material cause of the world. The last sutra of the first chapter states that the arguments on the refutation of Samkhya theories also apply to the atomists (Vaisheshika school of Hindu philosophy). Second chapter (Avirodha: non-conflict, non-contradiction): discusses and refutes the possible objections to Vedānta philosophy, and states that the central themes of Vedanta are consistent across the various Vedic texts. The Brahma sutra states, examines and dismisses the refutations raised by other schools of thoughts, those now classified under Hinduism, Jainism and Buddhism. The second chapter consists of 157 sutras, with thirteen Adhikaranas in the first Pada, eight in second, seventeen Adhikaranas in third, and nine in the fourth Pada. The second Brahmasutra chapter has been variously interpreted by various monist, theistic and other sub-schools of Vedanta. The Advaita school for example, states Francis Clooney, asserts that the "identity of Atman and Brahman" based Advaita system is the coherent system while other systems conflict with the Upanishads, or are internally inconsistent, or incoherent with observed reality and cosmos. The theistic sub-schools interpret the text to be stating that Atman is different than Brahman, and thereafter each explains how other systems conflict with the Upanishads or are incoherent. The Pada 2.1 opens with Adhikarana on Samkhya and Vaisheshika schools arguments that Smritis should be a basis for examining the concept of Brahman, and their objections to the Vedanta theory of reflection. The Brahmasutra asserts in 2.1.13 through 2.1.20 that the subject and object are one in Brahman, that agrees with Samkhya there is an identity in cause and effect, adding that the Brahman and the empirical world are therefore one. The sutras 2.1.21 through 2.1.36 present the problem of evil, offering its own doctrine to address it, asserting that Brahman is neither unjust nor cruel, and that inequality and evil exists in the world because of will, choices and circumstances created by actions of living beings over time. The atomistic physico-theological theories of Vaisheshika and Samkhya school are the focus of the first seventeen sutras of Pada 2.2. The theories of Buddhism are refuted in sutras 2.2.18 through 2.2.32,[note 6] while the theories of Jainism are analyzed by the text in sutras 2.2.33 through 2.2.36. The theories of other orthodox traditions are discussed in 2.2.37 through 2.2.45. Ramanuja and Shankara disagree in their formulation as well as critique of then extant orthodox traditions, in their respective commentaries, but both agree that the theory on emergence of Pradyumna (intellect) in the competing orthodox system is the primary flaw. The first eight case studies in the third Pada of chapter 2 discuss whether the world has an origin or not, whether the universe is co-eternal with Brahman or is an effect of Brahman (interpreted as dualistic God in theistic sub-schools of Vedanta), and whether the universe refunds into Brahman periodically. The last nine Adhikaranas of the third Pada discuss the nature of soul, whether it is eternal, is soul an agent, soul's relationship to Brahman, and states its proof that the soul exists and is immortal. The last Pada of the second chapter extracts and summarizes the theories of human body, sensory organs, action organs and their relationship to Prana (vital breath) in the various Vedic Brahmanas and Upanishads. The Brahma-sutra states that the organs inside a living being are independent principles, in the seventh and eighth Adhikarana of the fourth Pada. The various sub-schools of Vedanta interpret the sutras in the fourth Pada differently. 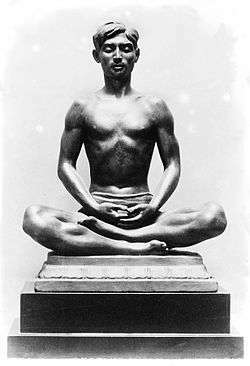 The Vedanta texts, state sutras 3.1.1-4 and 3.3.5-19 of Brahmasutra, describe different forms of meditation. These should be combined, merged into one and practiced, because there is nondifference of their basic import, that of Self, mind, knowledge and a state. Third chapter (Sādhana: the means): describes the process by which ultimate emancipation can be achieved. The topics discussed are diverse. The third chapter is the longest and consists of 186 sutras, with six Adhikaranas in its first Pada, eight in second, thirty six in third, and fourteen Adhikaranas in the fourth Pada. The third Brahmasutra chapter focuses on the nature of spiritual knowledge and epistemic paths to it. The theory of death and rebirth, karma and importance of conduct and free will, and the connection between Atman (Self, Soul) and the Brahman are discussed in sections 3.1 and 3.2 of the text. And (Brahman is apprehended) in perfect meditation also, according to perception (Sruti, Pratyakṣa) and inference (Smriti, Anumāṇa). And as is the case of (physical) light and the like, there is the non-distinction (of two Selves), the light (Self) by its activity, on account of repeated declarations (in the Scripture). Therefore (the individual soul enters into unity) with the infinite (the highest Self), for thus (is the scriptural) indication. Sections 3.3 and 3.4 describe the need for self-study, reflection of texts read, meditation, steps as one makes progress and the role of sannyasa (monk, mendicant) in the pursuit of spiritual knowledge. The third pada, states George Thibaut, opens a new section and theme in chapter 3 of the Brahma-sutras, asserting that meditation is central to the Vedic texts, and summarizing the Vedic theories, from different Shakha (Vedic schools), on "how the individual soul is enabled by meditation on Brahman to obtain final release". These sutras constitute a significant part of the text, extensively refer to the oldest Upanishads, and their commentaries by different Vedanta sub-schools have been extensive, signifying the large historic tradition around meditation, and acceptance of Yoga-sutras teachings in Vedanta. Meditation is defined in Vedanta texts commenting on the Sutras, states Klaus Witz, as "a continuous succession of comparable basic conceptions, beliefs, not interspersed with dissimilar ones, which proceeds according to the scriptures and relates to an object enjoined in the scriptures". It is described by Vedantins as a practice of concentrating on an object of meditation, states Witz, a state of "absorption or immersion into essentially a single thought" and "concentrating on it, excluding conventional notions, till one if as completely identified with it as with one's body". While this practice is discussed in Vedic texts, their formulations were differently described by different Vedic schools. The Brahma-sutra, in Adhikaranas of third and fourth pada, states Thibaut, assert that there is no contradiction in these teachings and that "the different Upanishads have to be viewed as teaching the same matter, and therefore the ideas must be combined in one meditation". For the True are so on (in different texts), are one and the same knowledge. The most referred to texts in these sections are the Brihadaranyaka Upanishad, the Chandogya Upanishad, the Kaushitaki Upanishad, the Katha Upanishad, and the non-Upanishadic parts of Shatapatha Brahmana and Aitereya Aranyaka. The topic of meditation, state the Brahma-sutras, is the spiritual knowledge of Brahman; the object of this knowledge, states Thibaut, is "Brahman viewed as the inner Self of all". The Brahma Sutras, in addition to recommending meditation, suggest that rituals and rites are unnecessary because it is knowledge that achieves the purpose. And for this very reason there is no need of the lighting of the fire and so on. In sutras 3.4.26 and 3.4.27, the text adds that rituals, however, can spiritually prepare a mind, remove impurities within, empower calmness and distractions from sensory pursuits, and therefore assist in its ability to meditate and gain the ultimate knowledge. The text also discusses, in sutras 3.4.28 to 3.4.31 whether there are restrictions on food (meat) one can ingest, during the spiritual journey. The sutras, translates Thibaut, derive from the Vedic texts that there is "a prohibition of doing harm to any living creature", however, the scriptures state, "only in danger of life, in cases of highest need, food of any kind is permitted to be eaten". The last three sutras of the chapter 3 assert that a person, pursuing means to spiritual knowledge, should seek a childlike state of innocence, a psychological state that is free of anger, self centeredness, pride and arrogance. The text declares that according to the Vedic literature knowledge is possible in this life, that one is one's own obstruction in this journey, that liberation and freedom is the fruit of knowledge. Fourth chapter (Phala: the fruit): talks of the state that is achieved in final emancipation. This is the shortest chapter with 78 sutras and 38 adhikaranas. The last chapter contains fourteen Adhikaranas in its first Pada, eleven in second, six in third, and seven Adhikaranas in the fourth. The last chapter of the Brahmasutra discusses the need and fruits of self-knowledge, the state of freedom and liberation. The opening sutras of chapter 4 continue the discussion of meditation as means to knowledge, with sutra 4.1.3 summarizing it to be the state where the person accepts, "I am Brahman, not another being" (Adi Shankara), as "Thou indeed I am, O holy divinity, and I indeed thou art, O holy divinity" (Jabalas), and "God is to be contemplated as the Self" and the individual is as the body of God (Ramanuja). On the Soul's having attained the Highest light, there is manifestation of its real nature, as we infer from the word own. The Self whose true nature has manifested itself is released; according to the promise (made by scripture). The light into which the soul enters is the Self, owing to the subject-matter of the chapter. The released soul abides in non-division from the highest Self (Brahman), because that is seen. The liberated soul, asserts the Brahma-sutra, is of the nature of Brahman, with inner power and knowledge, free from evil, free from grief, free from suffering, one of bliss and "for such there is freedom in all worlds". Numerous commentaries have been written on the Brahma-sutra text, but many such as that of Bodhayana,[note 7] Upavarsa,[note 8] and eighteen out of twenty one mentioned by Narayana in Madhvavijaya-bhava-prakashika are considered lost. Of the surviving commentaries, the earliest extant one is by Adi Shankara. The diversity of Brahma-sutra commentaries by various sub-schools of Hinduism (see table) attests to the central importance of the Upanishads, that the text summarizes. The sutras in the text can be, and have been read in different ways. Some commentators read each line separately, while others sometimes read two as one treating some sutras as contextually connected. Creative readers have read the last word of a sutra as the starting word for the next, some treat a given verse as Purva-paksha (prior art, or opposing viewpoint) while others read the same verse as Siddhanta (proposed doctrine, or conclusion). For example, states Gregory Darling, Adi Shankara in his commentary on sutra 4.3.14 considers saguna Brahman mentioned therein as Purva-paksha, but acknowledges that some scholars interpret this sutra as a Siddhanta. The Brahma Sutra has been translated into German by Paul Deussen, and in English by George Thibaut. The Thibaut translation is, state De Bary and Embree, "probably the best complete translation in English". The text is part of the Prasthanatrayi, or the three starting points for the Vedanta school of Hindu philosophy. The Brahma sutras constitute the Nyāya prasthāna (न्याय प्रस्थान) or "starting point of reasoning canonical base", while the Principal Upanishads constitute the Sruti prasthāna or "starting point of heard scriptures", and the Bhagavad Gita constitutes the Smriti prasthāna or the "starting point of remembered canonical base". 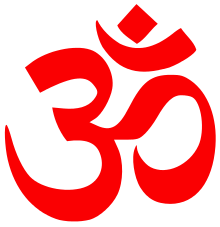 The Brahma sutras they are also referred to as the Yukti prasthāna, since Yukti (युक्ति) also means reasoning or logic. The nature and influence of Brahma-sutra, states Paul Deussen, "stands to the Upanishad's in the same relation as the Christian Dogmatics to the New Testament: it investigates their teaching about God, the world, the soul, in its conditions of wandering and of deliverance, removes apparent contradictions of the doctrines, binds them systematically together, and is specially concerned to defend them against the attacks of the opponents". The Vedas, according to Vedanta, consists of two parts, states Deussen, which show "far reaching analogy with the Old and New Testaments", a Part of Works (karma-kanda) which includes the benedictory mantras, sacrifices and ceremonies like the Old Testament, and a Part of Knowledge (jnana-kanda) which focuses on metaphysical questions about the world, creator, soul, theology, morals and virtues like the New Testament. The respective influence of the two documents, of the New Testament on Christianity, and the Brahma-sutra on Hinduism has been very significant. This analogy of influence has many common elements but, states Arvind Sharma, there are differences in the role and influence of New Testament in Christianity and the Brahma-sutra in the Hindu traditions, because in Hinduism texts were never considered as closed, the means and the meaning of soteriology differed, and a diversity of ideas on duality and monism as well as God was accepted. The prevalence of Vedanta thought is found not only in philosophical writings but also in various forms of (Hindu) literature, such as the epics, lyric poetry, drama and so forth. What is especially worthy of attention is that the Hindu religious sects, the common faith of the Indian populace, looked to Vedanta philosophy for the theoretical foundations for their theology. The influence of Vedanta is prominent in the sacred literatures of Hinduism, such as the various Puranas, Samhitas, Agamas and Tantras. Many commentaries on the fundamental scripture of Vedanta, the Brahmasutra, were written by the founders or leading scholars of the various sects of Hinduism, and they are transmitted to this day as documents indispensable in the respective sectarian traditions. The majority of the traditional and conservative scholars in India today, called Pandits, are students of Vedanta, and an overwhelming number belong to the lineage of Shankara – five sixths of all Pandits, according to some authorities. ↑ The name Sariraka Sutras is found, for example, in the works of Adi Shankara. ↑ Belvalkar suggests that there once existed Brahma-sutra style texts for all major Upanishads and Hindu texts, such as the Brihadaranyaka Upanishad, the Chandogya Upanishad and the Bhagavad Gita. The currently surviving version of Brahmasutra is a composite version, states Belvakar, with the oldest layer consisting of Chandogya-Brahmasutra; the second layer that consolidated various Brahmasutras into one document and added the Smritis-padas and Tarka-padas; and the third stratum of the text was chronologically added last, defending the Vedanta philosophy from the new theories from opposing heterodox schools of Indian philosophies. About 15 sutras of the Brahmasutra may be very late insertions, states Belvalkar. J. A. B. van Buitenen, wrote in 1956, that Belvakar theory is plausible, but difficult to prove. ↑ The earliest known roots of this methodology is described in Jaimini's texts on Purva-Mimamsa. ↑ The monist, theist and other sub-traditions of Vedanta count the number of Adhikaranas differently. For example, Ramanuja counts sutras 2.2.28 to 2.2.32 as two Adhikaranas, while others count it as one. Thus, the total number of Adhikaranas in the Brahma sutra text varies slightly from 189 in some Vedanta sub-schools. See page li in Thibaut's Introduction. ↑ Stephen Kaplan writes (abridged): "Avidya is the fundamental existential problem and the fundamental philosophical/theological problem within Advaita Vedanta. It is the cause of the evil that exists within the world. Remove ignorance and one will realize that atman is Brahman. It is also the crucial philosophical issue within Advaita thought. Advaita need not explain why a perfect deity was motivated to create the world, nor why an all-loving God created a world with evil. Ultimately, for Advaita, there is no creation, nor any God who creates the world. The highest truth is Brahman, one without a second, the true self, atman." ↑ The sutras 2.2.18 to 2.2.27 state and refute the 'persistence of subject and substance' theory, and sutras 2.2.28 to 2.2.32 state and refute the 'everything is void' theory of Buddhism. However, the arguments offered by monist and theistic sub-schools of Vedanta differ, particularly those of Shankara, Madhva and Ramanuja, with the latter two also refuting the arguments of Shankara in this section. For a sutra by sutra analysis, by the three scholars, see Gregory Darling. ↑ Bodhayana's commentary on Brahma-sutra, along with those of Tanka, Dramida, Bhartriprapanca, Bhartrimitra, Bhartrihari (5th-century), Brahmadatta and Shrivatsanka are mentioned by 12th-century Ramanuja and 11th-century Yamunacharya's Siddhitraya, all of these commentaries likely much older than Adi Shankara's commentary. ↑ Upavarsa is a revered scholar whose commentary on Brahma-sutra was possibly the earliest, and one who is revered by different and antagonistic sub-schools of Vedanta; he is mentioned by Shankara, Bhaskara and even by scholars of non-Vedanta schools of Hindu philosophies. 1 2 Andrew J. Nicholson (2013). Unifying Hinduism: Philosophy and Identity in Indian Intellectual History. Columbia University Press. p. 26. ISBN 978-0-231-14987-7. , Quote: "From a historical perspective, the Brahmasutras are best understood as a group of sutras composed by multiple authors over the course of hundreds of years, most likely composed in its current form between 400 and 450 BCE." 1 2 3 4 5 6 7 8 Radhakrishna, Sarvepalli (1960). Brahma Sutra, The Philosophy of Spiritual Life. pp. 23–24. ↑ Radhakrishna, Sarvepalli (1960). Brahma Sutra, The Philosophy of Spiritual Life. p. 21. ↑ Radhakrishna, Sarvepalli (1960). Brahma Sutra, The Philosophy of Spiritual Life. pp. 26–27. ↑ Radhakrishna, Sarvepalli (1960). Brahma Sutra, The Philosophy of Spiritual Life. p. 22 with footnote 2. 1 2 3 4 Radhakrishna, Sarvepalli (1960). Brahma Sutra, The Philosophy of Spiritual Life. p. 22 with footnote 3 and 4. 1 2 Radhakrishna, Sarvepalli (1960). Brahma Sutra, The Philosophy of Spiritual Life. p. 22 with footnote 6. ↑ Klaus K. Klostermaier (2007). A Survey of Hinduism: Third Edition. State University of New York Press. p. 354. ISBN 978-0-7914-7082-4. ↑ Radhakrishna, Sarvepalli (1960). Brahma Sutra, The Philosophy of Spiritual Life. p. 227. ↑ Radhakrishna, Sarvepalli (1960). Brahma Sutra, The Philosophy of Spiritual Life. pp. 301–302 with footnotes. ↑ Radhakrishna, Sarvepalli (1960). Brahma Sutra, The Philosophy of Spiritual Life. pp. 345–354 with footnotes. 1 2 Radhakrishna, Sarvepalli (1960). Brahma Sutra, The Philosophy of Spiritual Life. pp. 354–365 with footnotes. ↑ Radhakrishna, Sarvepalli (1960). Brahma Sutra, The Philosophy of Spiritual Life. pp. 366–377 with footnotes. ↑ Radhakrishna, Sarvepalli (1960). Brahma Sutra, The Philosophy of Spiritual Life. pp. 378–390 with footnotes. ↑ Radhakrishna, Sarvepalli (1960). Brahma Sutra, The Philosophy of Spiritual Life. pp. 391–396 with footnotes. ↑ Radhakrishna, Sarvepalli (1960). Brahma Sutra, The Philosophy of Spiritual Life. pp. 397–403. ↑ Radhakrishna, Sarvepalli (1960). Brahma Sutra, The Philosophy of Spiritual Life. pp. 403–422. ↑ Radhakrishna, Sarvepalli (1960). Brahma Sutra, The Philosophy of Spiritual Life. p. 429. ↑ Radhakrishna, Sarvepalli (1960). Brahma Sutra, The Philosophy of Spiritual Life. pp. 457–460. 1 2 3 Klaus Witz (1998), The Supreme Wisdom of the Upaniṣads: An Introduction, Motilal Banarsidass, ISBN 978-8120815735, pages 198-200; See also, Radhakrishna, Sarvepalli (1960). Brahma Sutra, The Philosophy of Spiritual Life. pp. 528–529. ↑ Radhakrishna, Sarvepalli (1960). Brahma Sutra, The Philosophy of Spiritual Life. p. 490. ↑ Radhakrishna, Sarvepalli (1960). Brahma Sutra, The Philosophy of Spiritual Life. p. 512. ↑ Radhakrishna, Sarvepalli (1960). Brahma Sutra, The Philosophy of Spiritual Life. pp. 514–515. 1 2 Radhakrishna, Sarvepalli (1960). Brahma Sutra, The Philosophy of Spiritual Life. pp. 522–524. ↑ Radhakrishna, Sarvepalli (1960). Brahma Sutra, The Philosophy of Spiritual Life. pp. 525–526. 1 2 Radhakrishna, Sarvepalli (1960). Brahma Sutra, The Philosophy of Spiritual Life. pp. 553–555. 1 2 3 4 5 Radhakrishna, Sarvepalli (1960). Brahma Sutra, The Philosophy of Spiritual Life. pp. 26–27. ↑ Radhakrishna, Sarvepalli (1960). Brahma Sutra, The Philosophy of Spiritual Life. pp. 28–39. ↑ Radhakrishna, Sarvepalli (1960). Brahma Sutra, The Philosophy of Spiritual Life. pp. 39–45. ↑ Radhakrishna, Sarvepalli (1960). Brahma Sutra, The Philosophy of Spiritual Life. pp. 45–46. ↑ Radhakrishna, Sarvepalli (1960). Brahma Sutra, The Philosophy of Spiritual Life. pp. 47–60. ↑ Radhakrishna, Sarvepalli (1960). Brahma Sutra, The Philosophy of Spiritual Life. p. 57. ↑ Radhakrishna, Sarvepalli (1960). Brahma Sutra, The Philosophy of Spiritual Life. pp. 61–66. ↑ Radhakrishna, Sarvepalli (1960). Brahma Sutra, The Philosophy of Spiritual Life. pp. 78–82. ↑ Radhakrishna, Sarvepalli (1960). Brahma Sutra, The Philosophy of Spiritual Life. pp. 66–78. ↑ Radhakrishna, Sarvepalli (1960). Brahma Sutra, The Philosophy of Spiritual Life. pp. 88–93. ↑ Radhakrishna, Sarvepalli (1960). Brahma Sutra, The Philosophy of Spiritual Life. pp. 93–94.